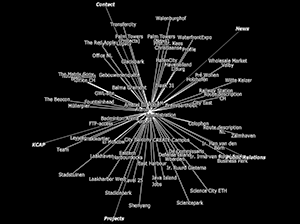 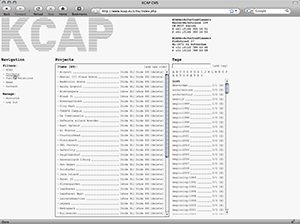 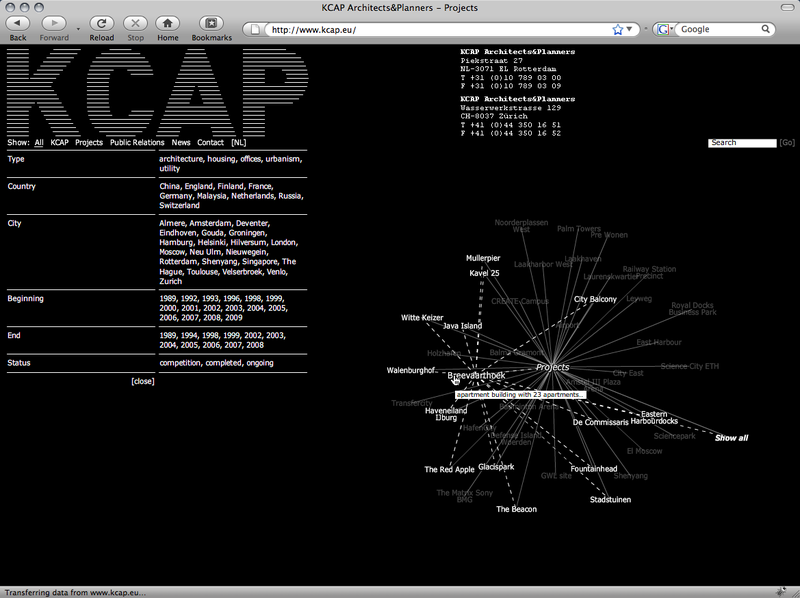 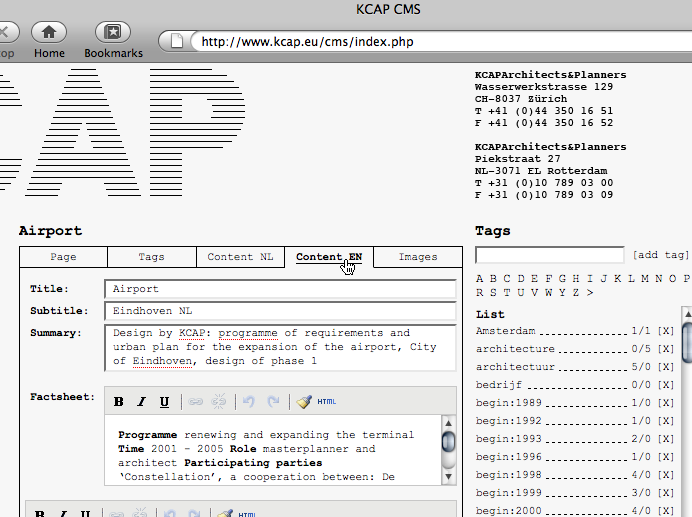 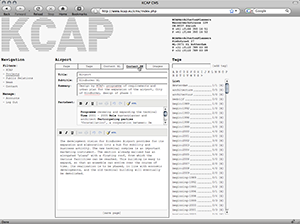 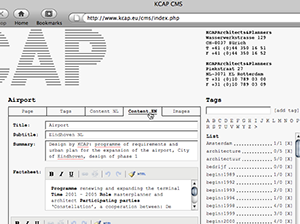 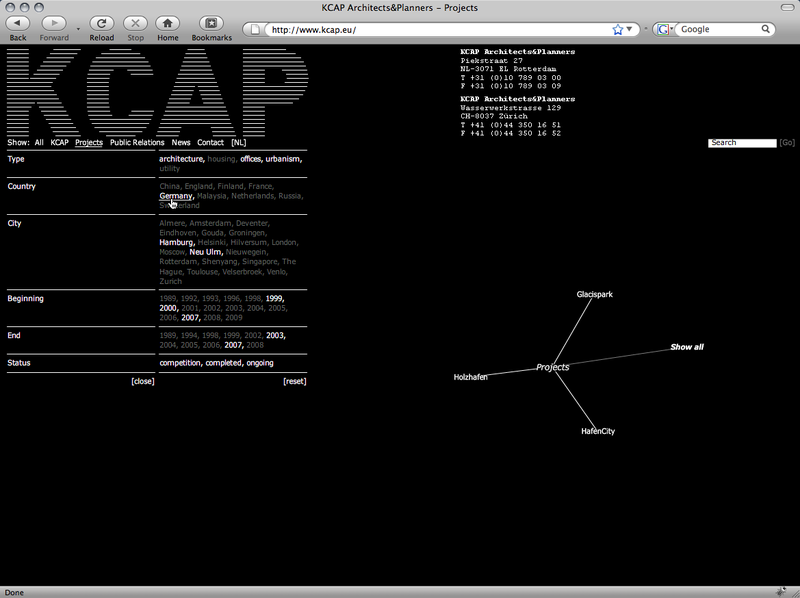 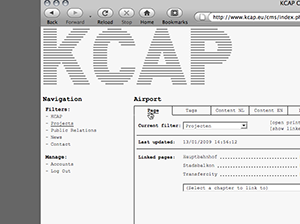 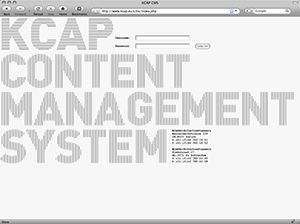 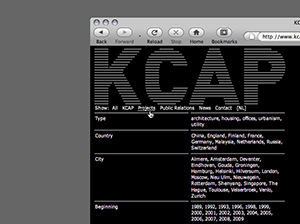 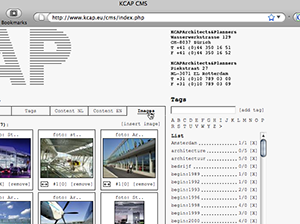 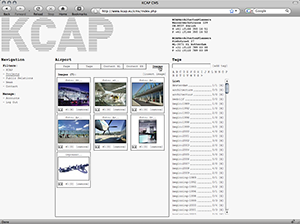 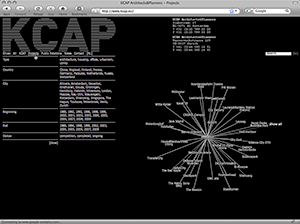 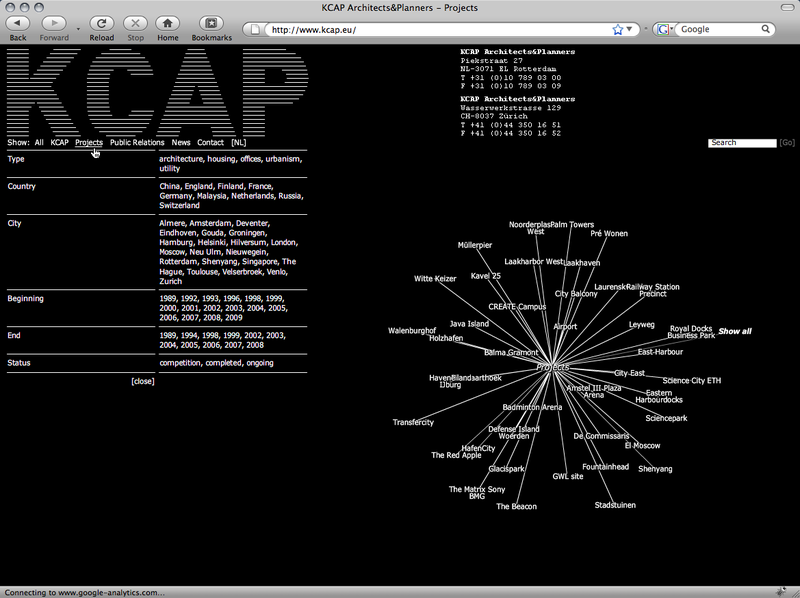 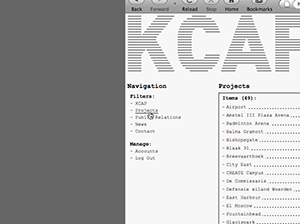 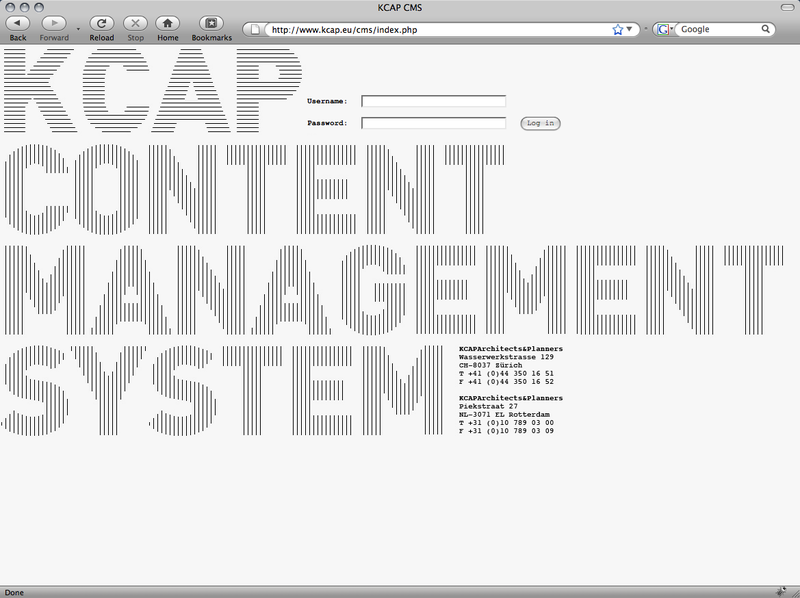 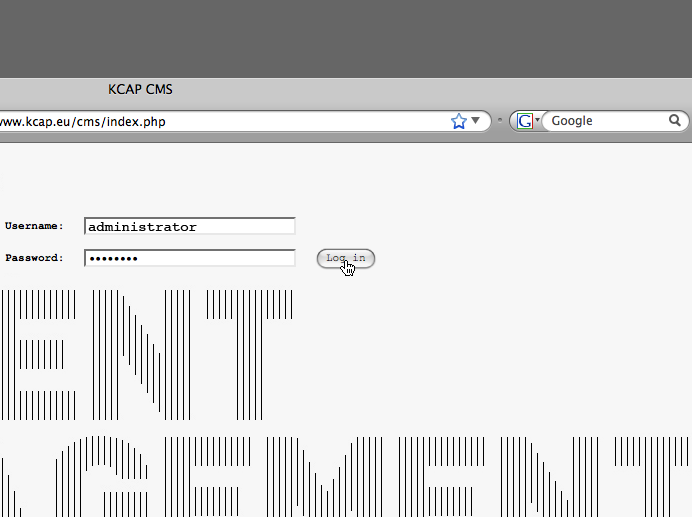 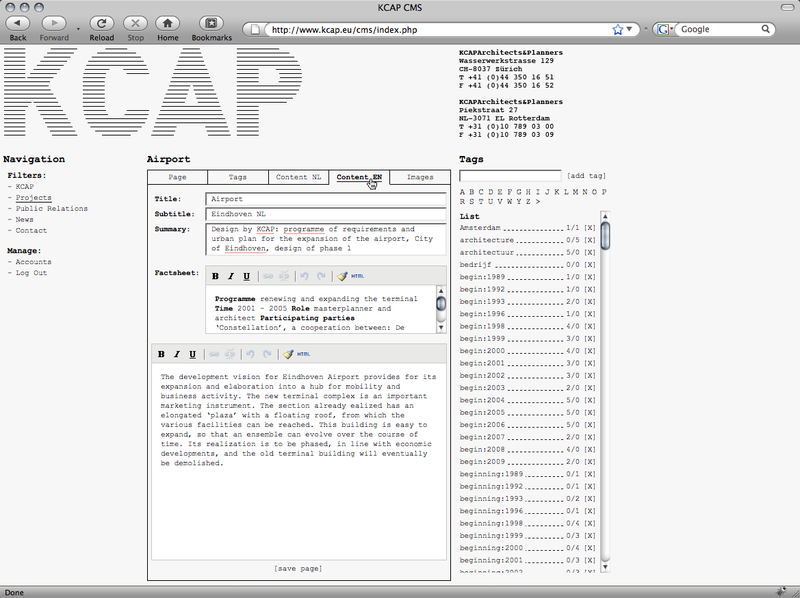 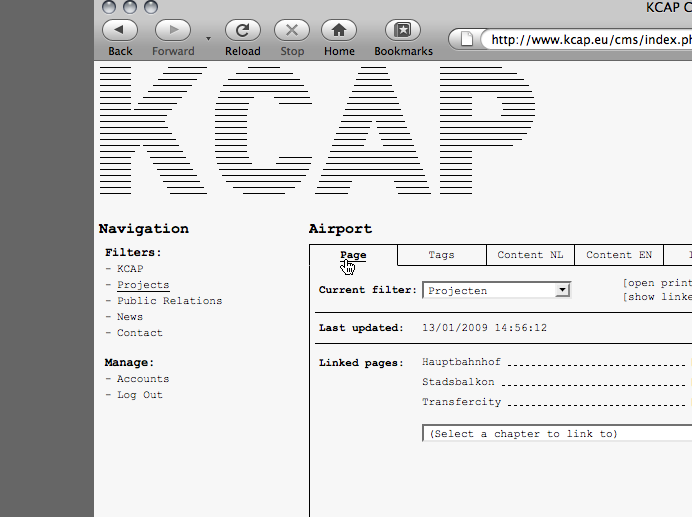 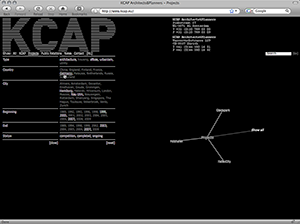 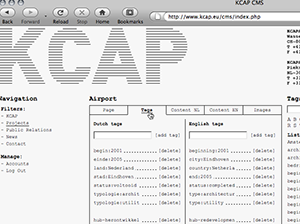 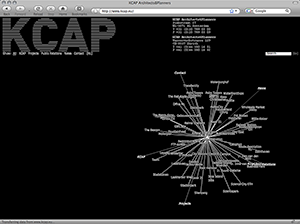 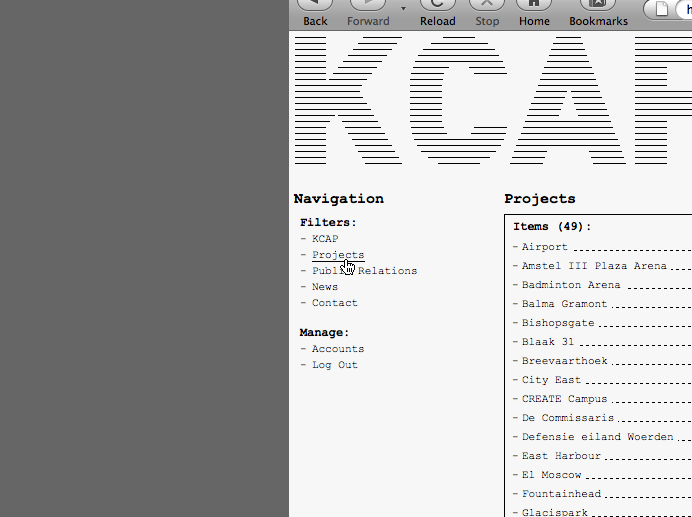 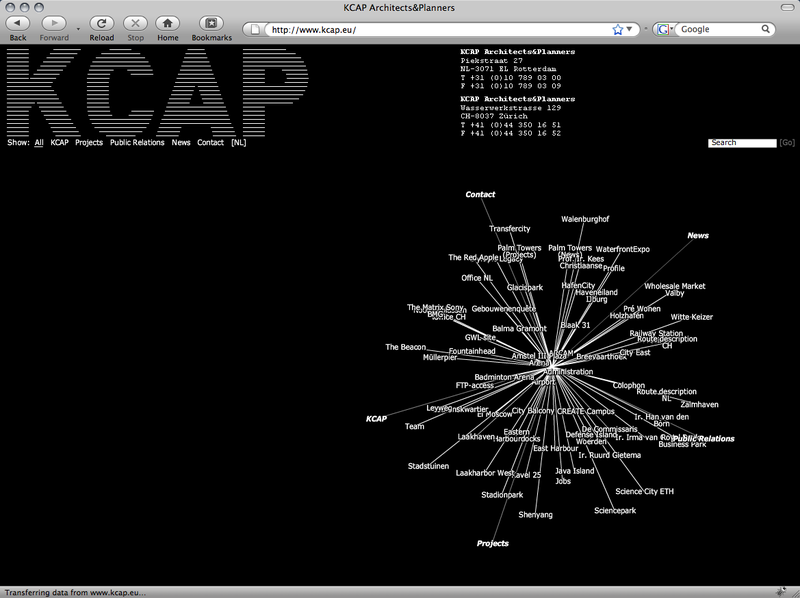 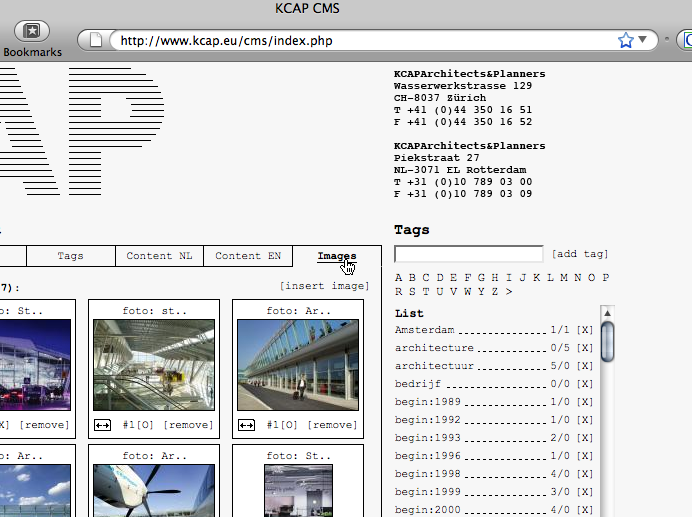 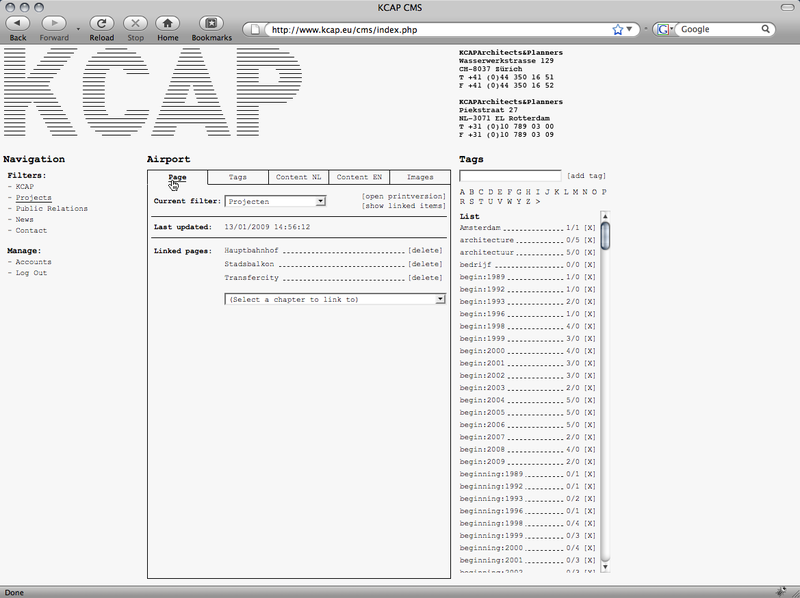 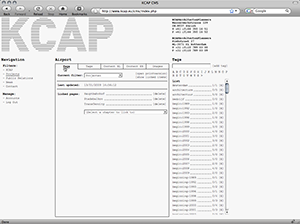 www.kcap.eu is a non-hierarchically structured keyword catalogue that allows for contextual and thematical browsing by clustering related and descriptive keywords to a tag cloud. 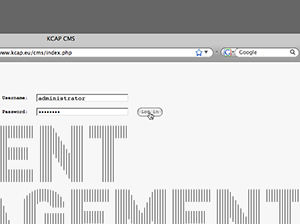 This cloud works like a central registry where metadata definitions are stored and maintained to enable an intuitive site navigation. 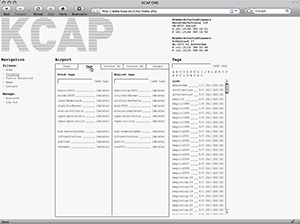 A single catalogue entry is assigned selected data and gathers information on a specific item affiliated to the subject both formally and semantically. 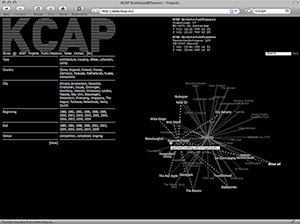 This information possibly relates to other keywords listed in the database providing hereby an internal network structure. 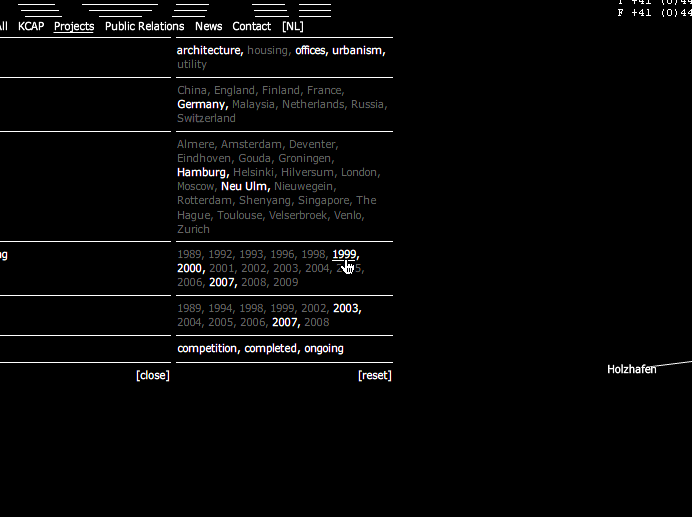 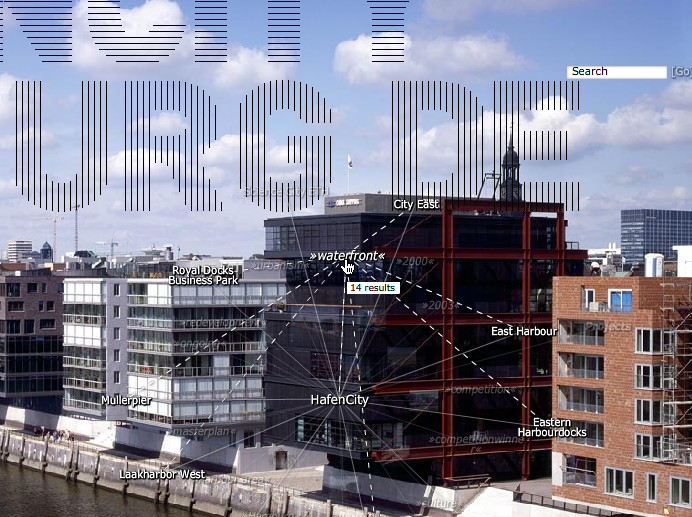 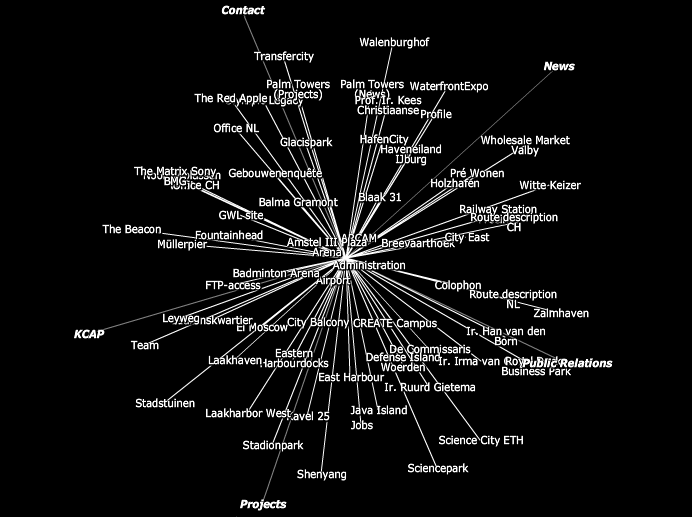 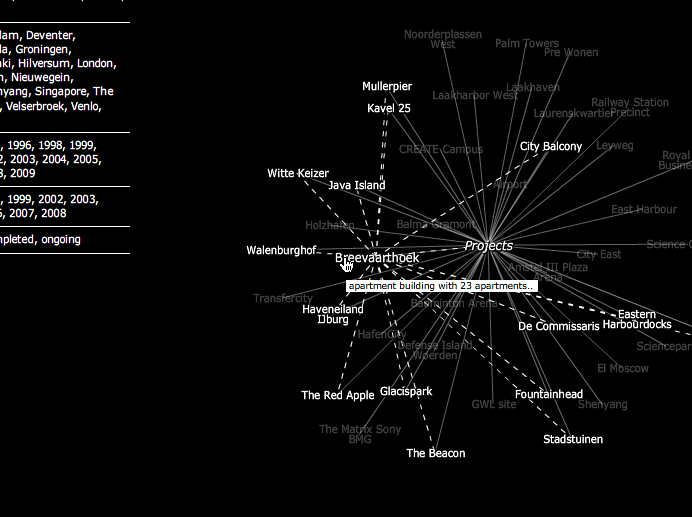 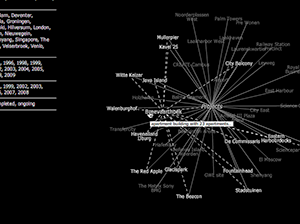 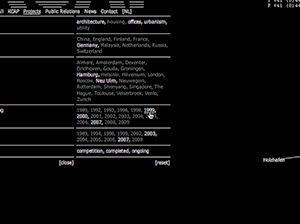 For instance, a search query using the keyword city could not only evoke overlapping search results like e.g. 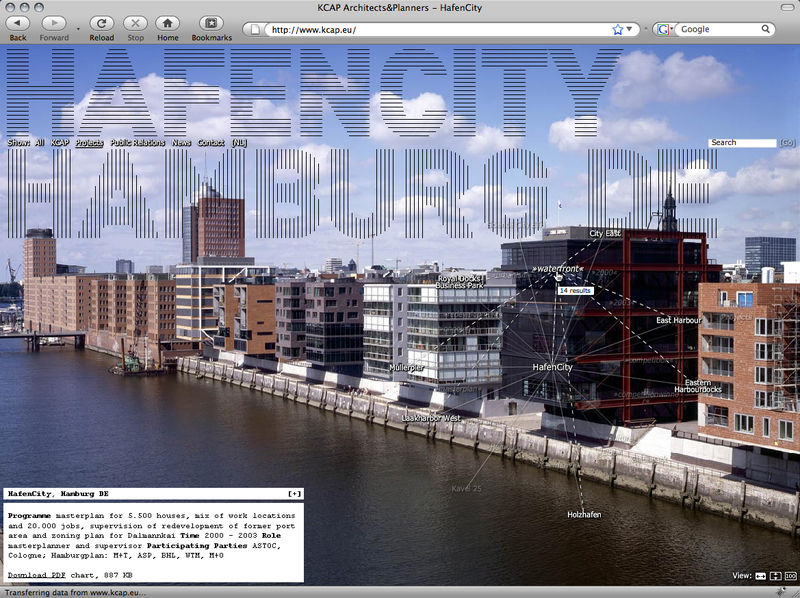 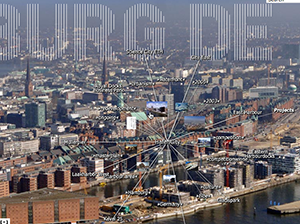 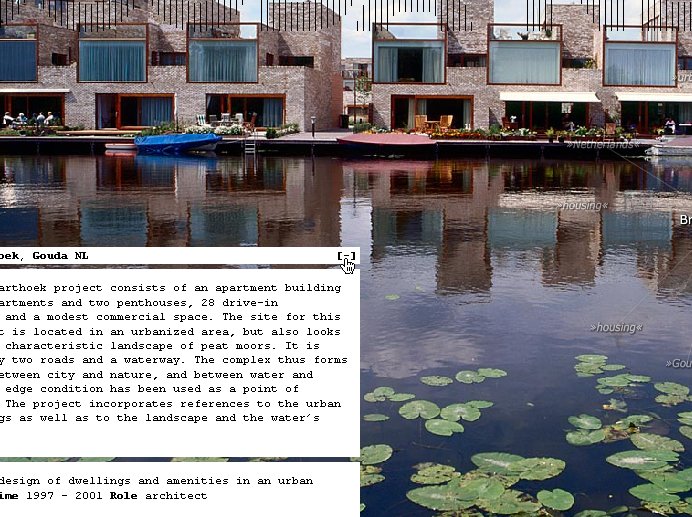 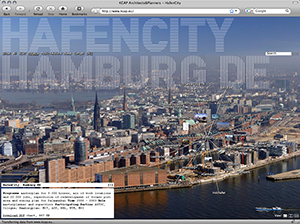 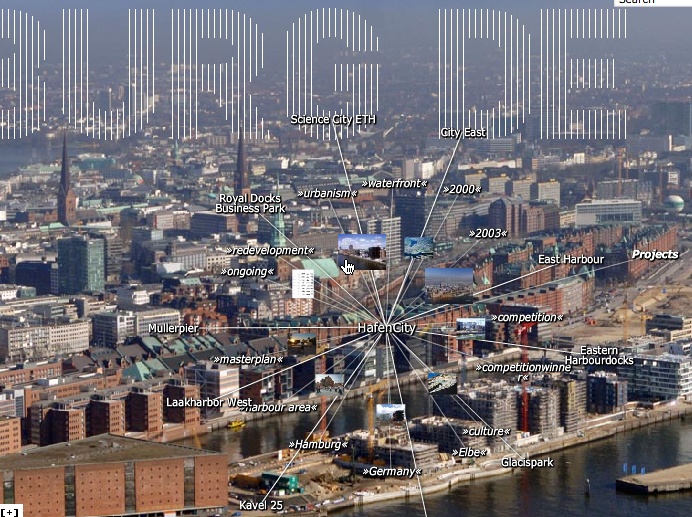 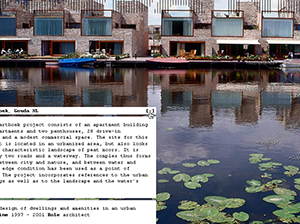 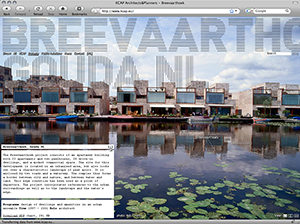 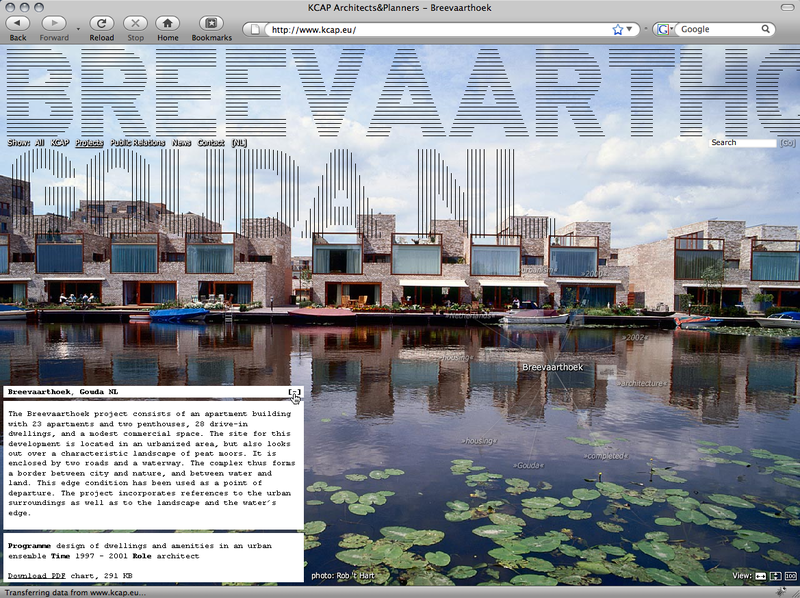 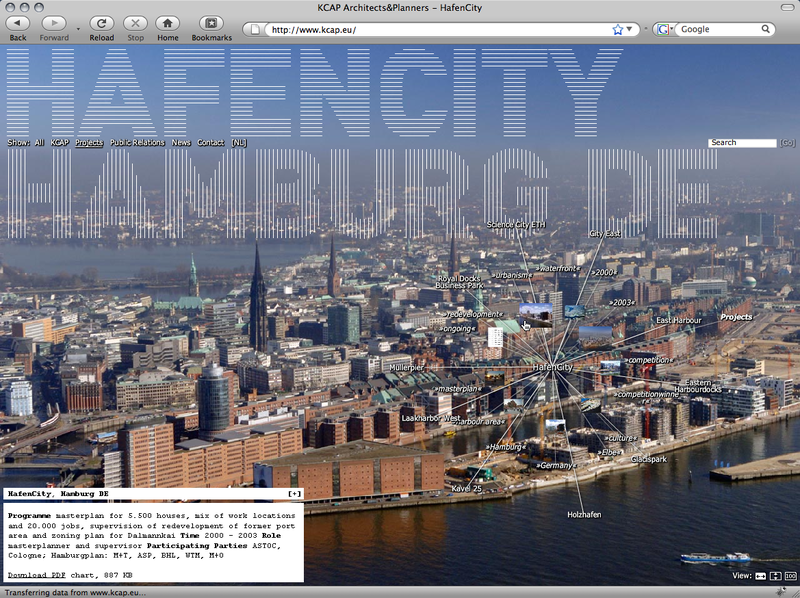 urban planning or master plan, but also come up with immediate project links such as KCAP’s HafenCity or Science City. 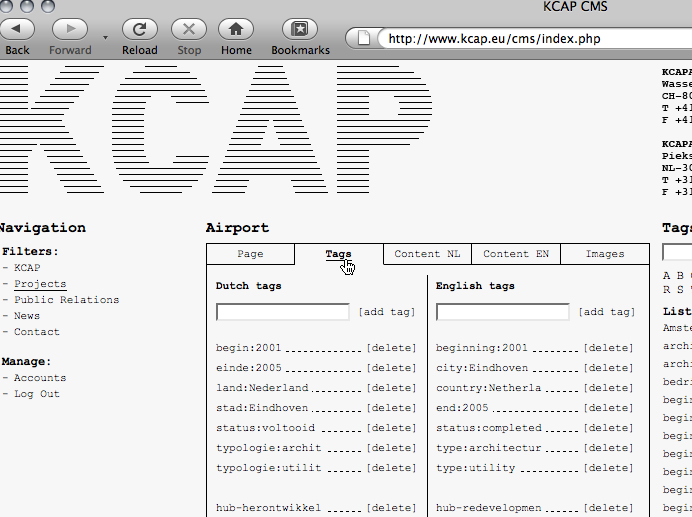 To enable a more detailed navigation, the keyword catalogue offers additional filter options. 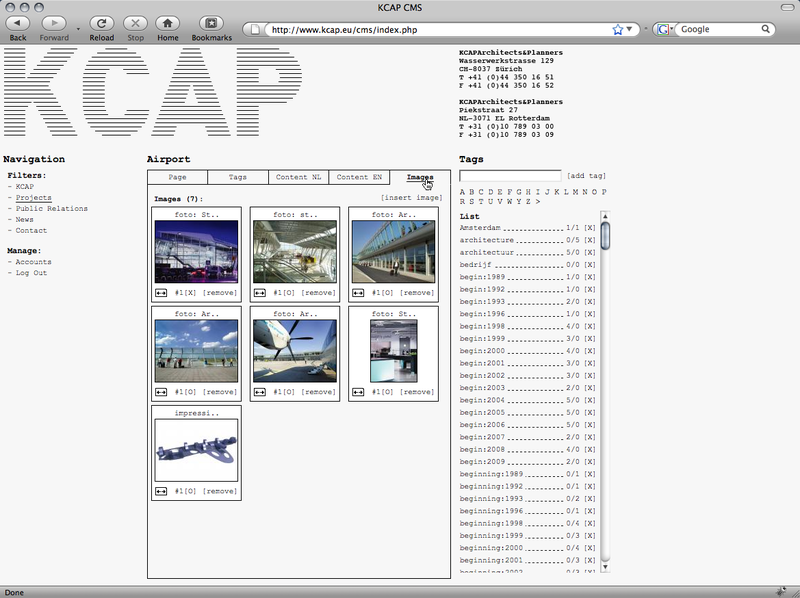 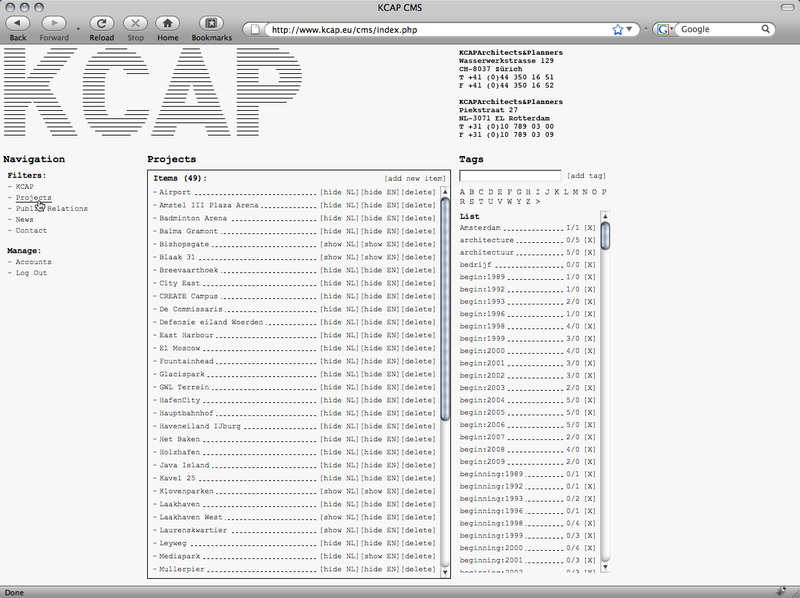 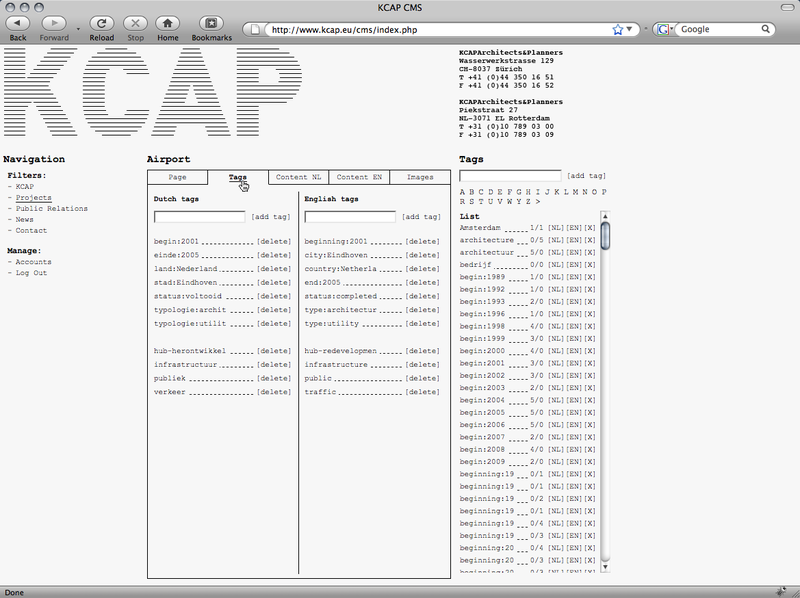 When applied, the catalogue display is rearranged according to the selected parameters.